​Thomas “Welsh” O’Connor is in a tailspin. He’s been detained for treason, been a CIA asset—twice—to save his neck, and fought all over the globe for his country. Now he’s stuck with mandatory protective detail assignment. Welsh would rather be doing anything than assisting a Special Operations Surgical Team and Médecins sans Frontières. Like fighting a war to get the inescapable anger out. 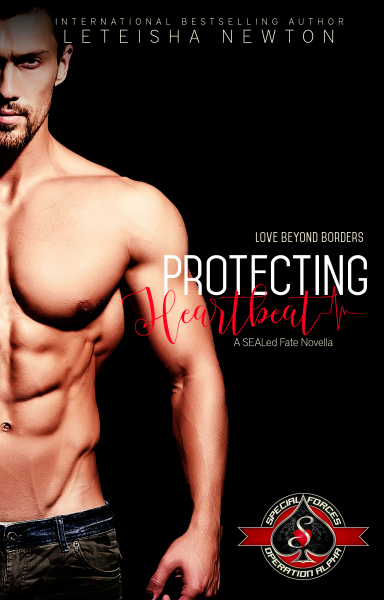 Dr. Rose Delgado can feel the rage surrounding the SEALs who protect her and her team of doctors as they provide medical attention to refugees, amid bombings, attacks, and lack of authorization to operate in the county. But there is pain there too, and her nurturing heart can’t ignore her urge to heal one SEAL in particular. His smiles and jokes hide sadness and tears, and she’s determined to provide what she can to help him. But Aleppo is no place for romance, and she finds herself caught in the center of a deadly game meant for the very men she’s come to respect. Maybe love is just what will save them all.